I'm Nathan from Australia, I name myself after my favorite mammal - the Quoll. Small but ferocious predators, they make up for the lack of cats in marsupial dominated Australia. I have been camera trapping for many years now, starting with a simple SICK reflectance sensor connected to a Canon EOS 350D 12 years ago. 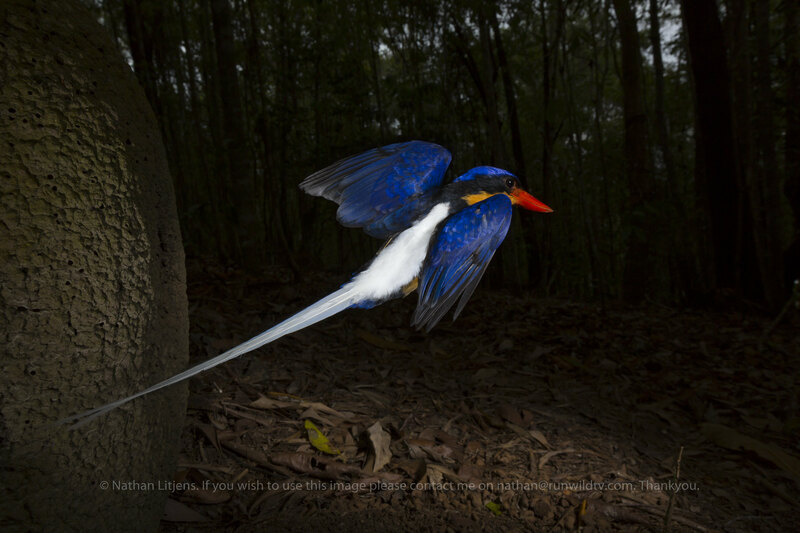 I used it to photograph Paradise Kingfishers in flight. Since then I have moved to making my own units, especially active infrared (AIR) and modifying PIR units into very small, compact triggers. I also camera trap birds and bats in high speed setups which I will in time share with you. I have plenty of experience to offer if anyone has any questions, and I'm sure I will have a few of my own too. Welcome to the site. IMO it's the best site for camtrappers on the web. And from seeing the great images you have posted already, you are going to fit in real well. Spectacular images. Nice to see you here. Lots of knowledge and a wealth of information. Great photos. BTW, that kingfisher shot was awesome! Welcome Nathan, stunning captures. I look forward to reading about some of your tricks of the trade as well as the images. Tremendous photos!!! Welcome to the forum, it's good to see photos of animals we would never see otherwise and yours are stunning. Wow, amazing work! I'd love to hear about how you get your in-flight photos too! Especially of bats. Researching about photographing bats is what got me started in working on building my own camera-trap setup, so I'd love to hear more about how you got your images!